I love a good travel book and one that highlights the top things to do in the United States is at the top of my list. 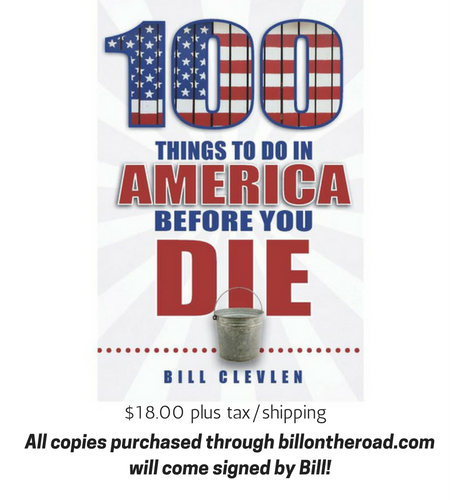 Lucky for me I stumbled across 100 Things to Do in America Before You Die and it is a fantastic read that ensures you don’t miss any of the fascinating things the United States has to offer. In addition to sharing the best places to see and visit the book also includes trivia on every page. Questions like “Do you know what is so unique about the original Monopoly board on display at the National Museum of Play?” or “Why did the tradition of dropping a ball in Times Square begin in the first place?” These questions and more are answered in the 100 Things to Do in America Before You Die. Use the book as a guide to plan your next holiday and be sure to start checking items off the list. I have traveled extensively across the United States and was only able the check off about 30 items. It looks like there needs to be a lot more travel in my future. Want to learn more about the book? Join me for a twitter chat (details below) or buy your own copy at BillOnTheRoad.com for an autographed copy or through Amazon. 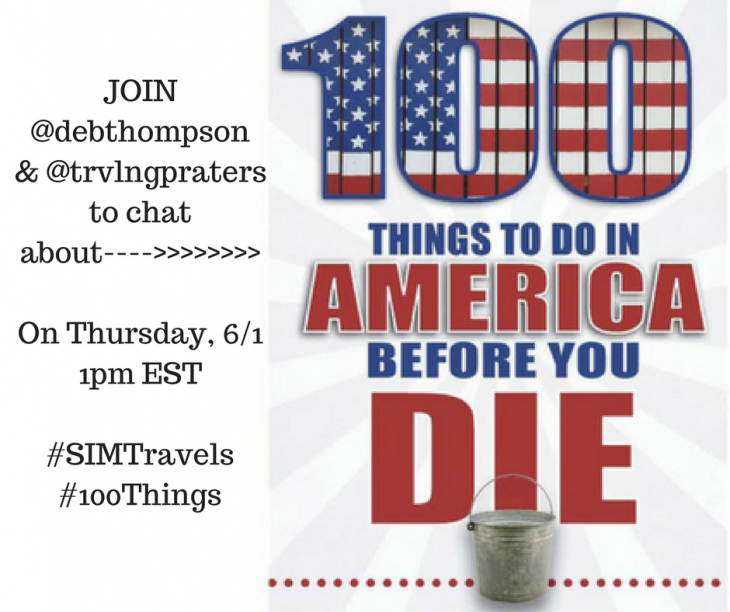 Join me for a 30-minute Twitter Chat on Thursday, June 1st for an opportunity to win your very own copy of 100 Things to Do in America Before You Die.